The Auto-Complete Name List is a feature in Outlook that suggests names when you begin to type in the To, Cc, and Bcc lines of an e-mail message. You can turn this feature off, remove a particular name from the list, or empty the list to start from scratch. The list from this feature is not stored in your Contacts or Address Book; it is automatically generated and updated as you send e-mail. Step 2:Click the Mail menu from the left pane. Step 3:Scroll down to the Send messages section. Remove the check from Use Auto-Complete List to suggest names when typing in the To, Cc, and Bcc lines. Step 1:Create a new e-mail in Outlook. Step 2:Begin typing a name or e-mail address in the To... line. Step 3:Click the X next to the name if you wish to remove it from the Auto-Complete List. Step 1:In Outlook, click the File tab and choose Options. Step 3:Scroll down to the Send messages section. Click Empty Auto-Complete List. 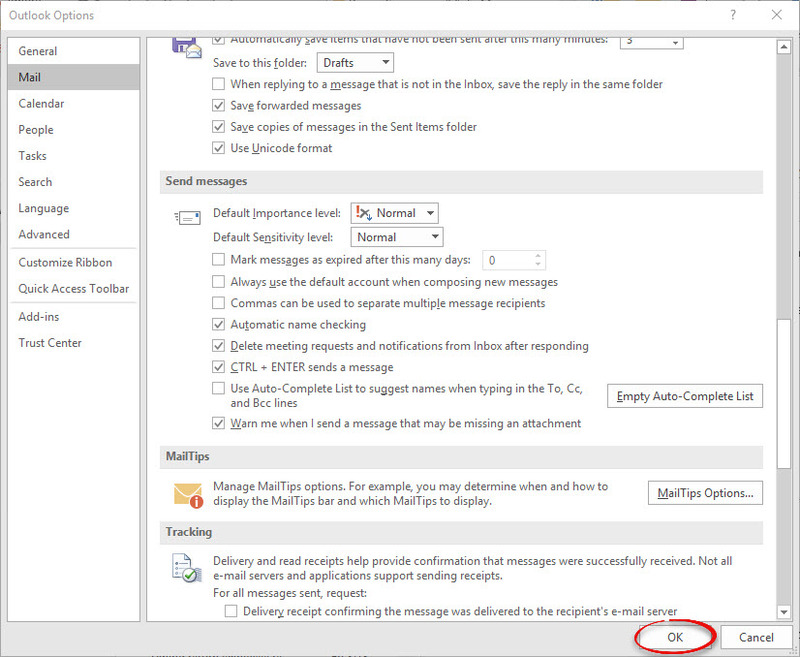 Step 5:Click OK on the Outlook Options window.